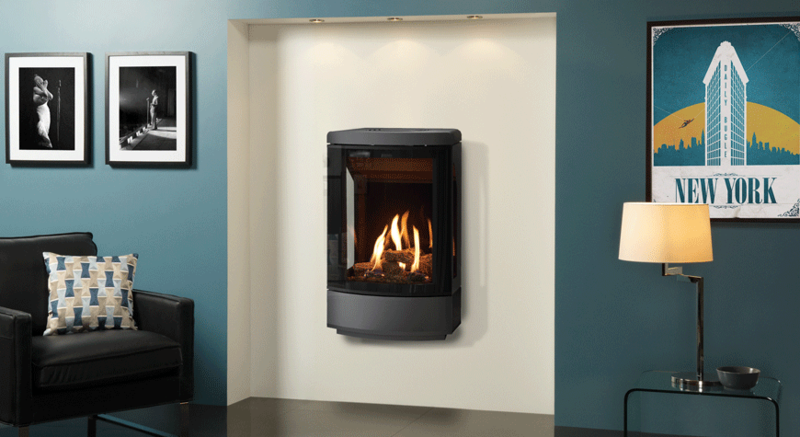 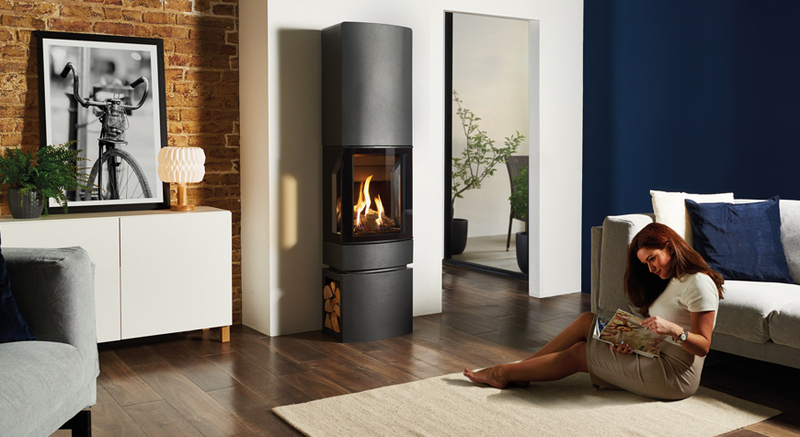 The Loft gas stove’s tall firebox is framed with reflective black glass, adding a striking two-tone contrast to the matt steel body. 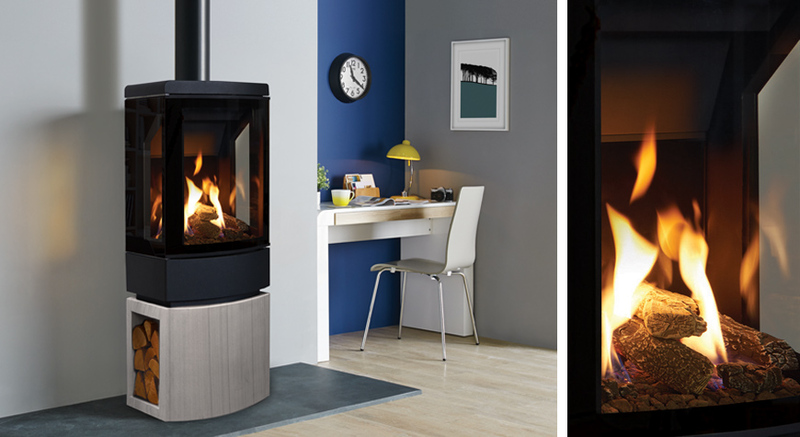 Soaring flames dance amongst a highly realistic fuel bed, composed of hand painted realistic logs. 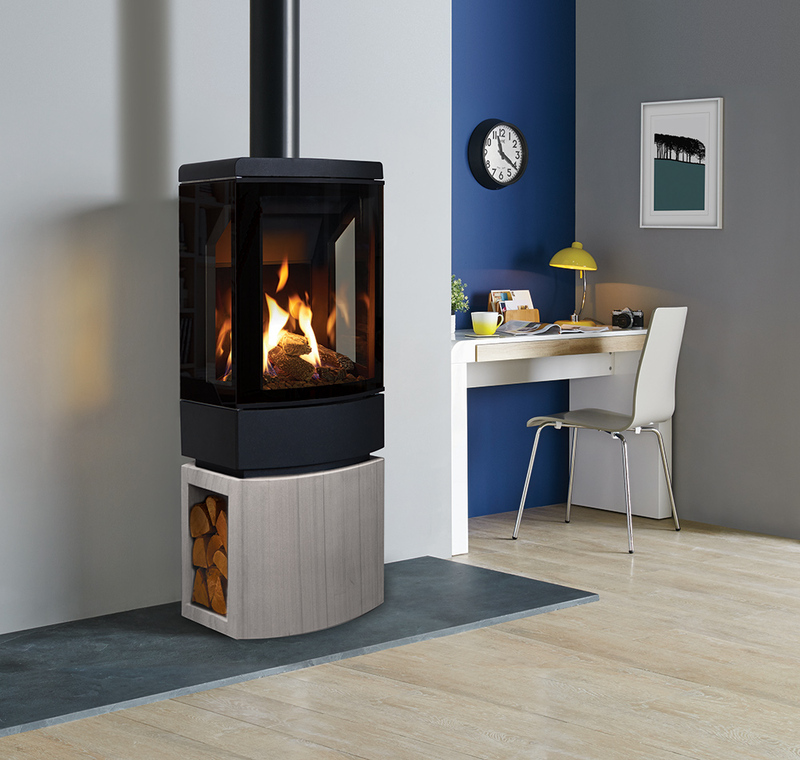 Visuals are mirrored on all sides by the EchoFlame Black glass lining – a continuation of the stove’s glossy exterior styling details. 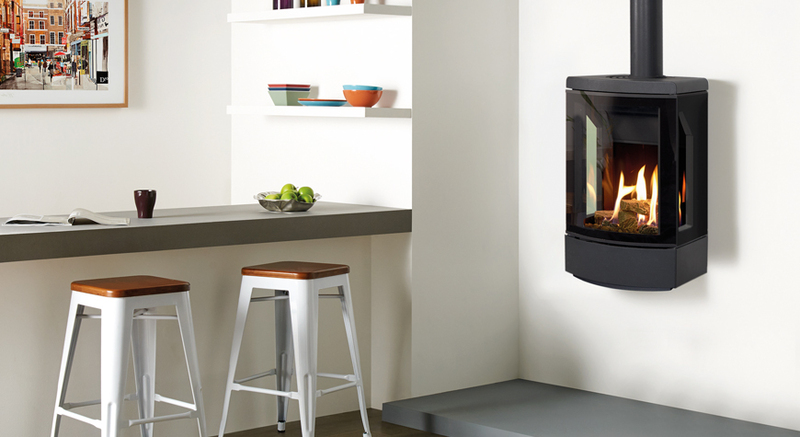 Loft stoves can be styled with a variety of accessories, offering a range of luxury options for your gas stove. 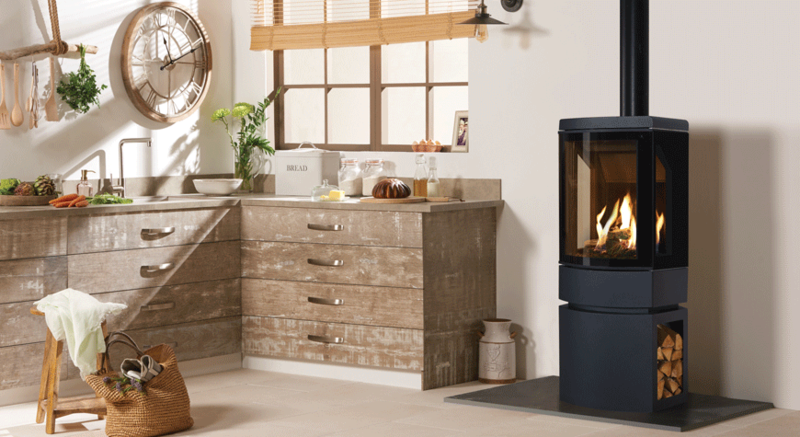 You can choose to mount your stove on a range of cleanly styled Plinth and Logstore bases, with either option offered in matching steel, a smart Castillo grey sandstone or luxurious Woodgrain sandstone. 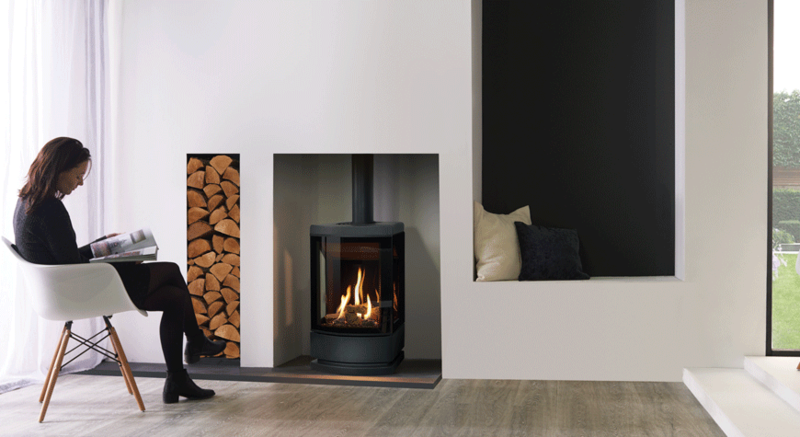 Alternatively, this versatile gas stove is also available as a wall mounted version, for an ultra-modern, floating installation that lends itself perfectly to contemporary minimalism.